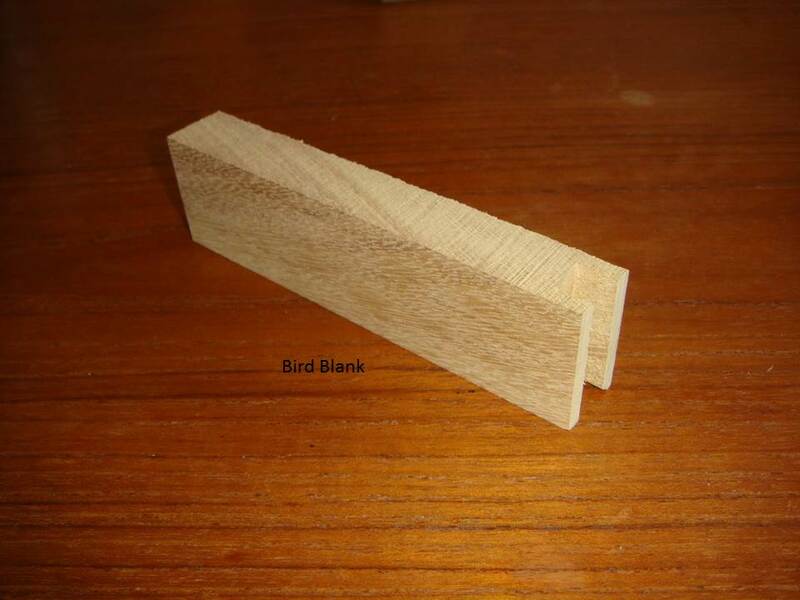 Here I have Flute Blanks for sale. The price for everything below is £50. Postage within the UK mainland is free, everywhere else in the world please ask for a price. 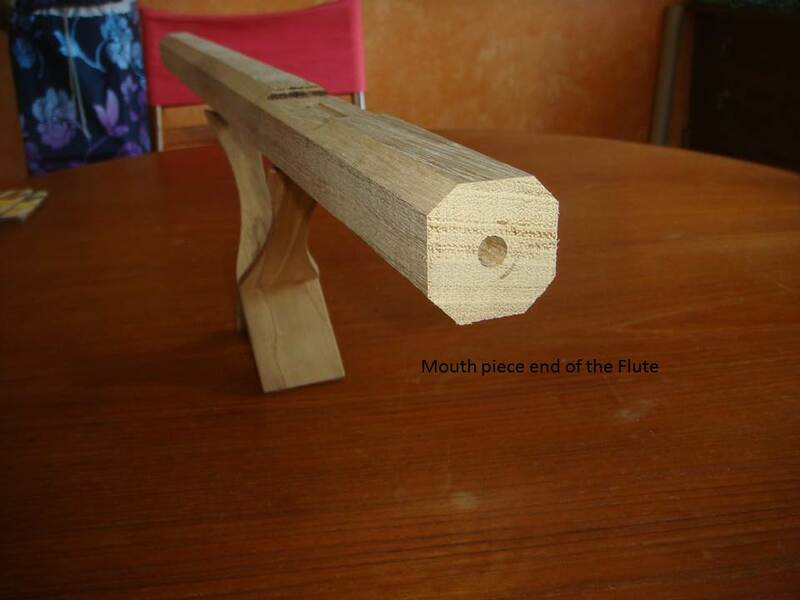 The flute blanks are made to order and will take a few days and then be posted. 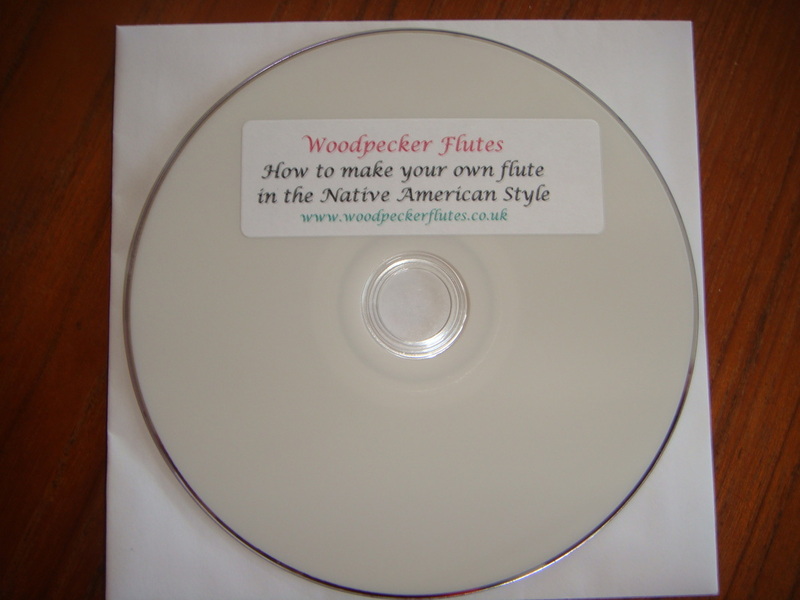 What you get is the Flute in a blank form and a Bird in a blank form, My DVD on How to make a Flute in the Native American Style, My Song Book and a choice of 4 coloured deer lace for decoration. You will need to follow the instructions on how to finish the flute in the DVD provided, (this DVD is the same one I am selling for £10). Golden Iroko, Idigbo, Sapele, Golden American Ash, Maple, Walnut, Ash, Crack Willow or Beech. You can also mix and match the woods, eg Maple and Walnut. 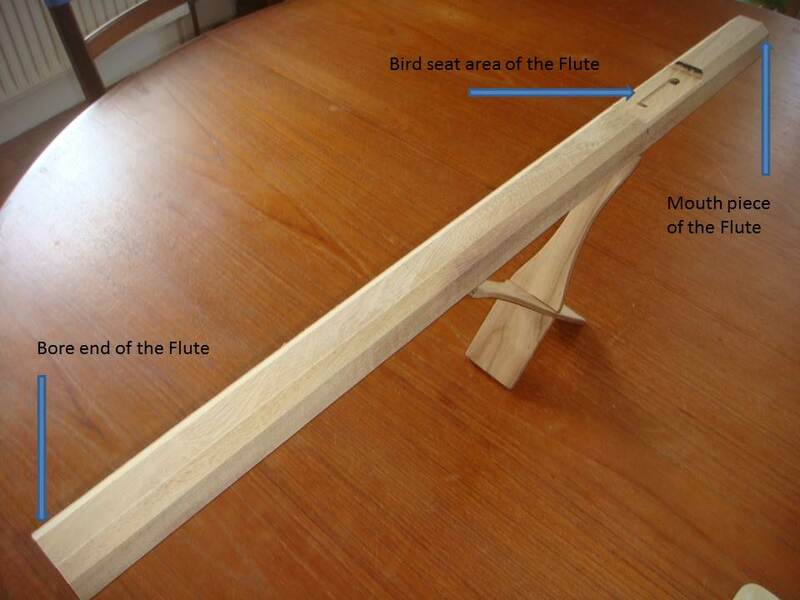 You can also choose what key you want the flute to be in, G, F#, F or E. (the bore of the flute will be the appropriate size for the key). 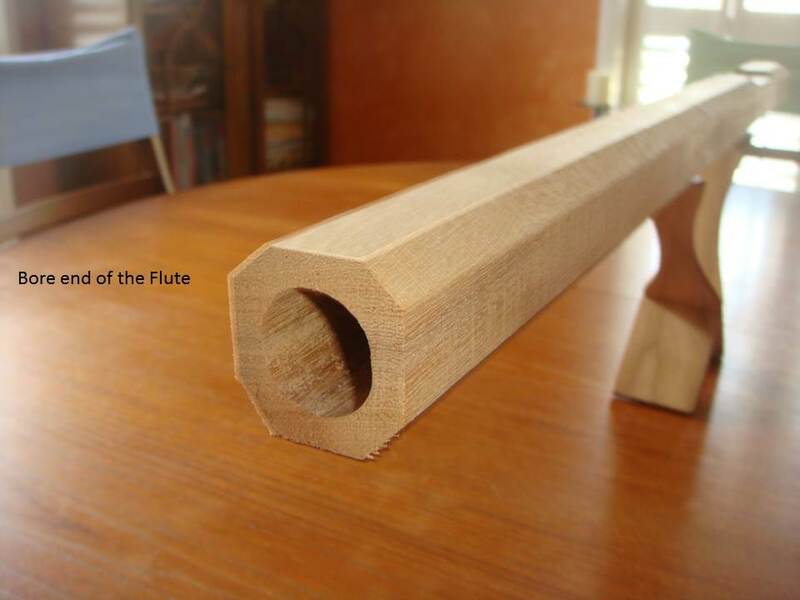 The flute blank will be long enough for you to choose the style of flute end (sloped or square) and if you want tuning holes or not. A drill and drill bits various from 5mm to 10mm. A spoke shave or small hand plane. A small hand saw, (fret saw). A tape measure, pencil and ruler. Coarse, medium and fine sand paper. Below are a few photos of what you will get. 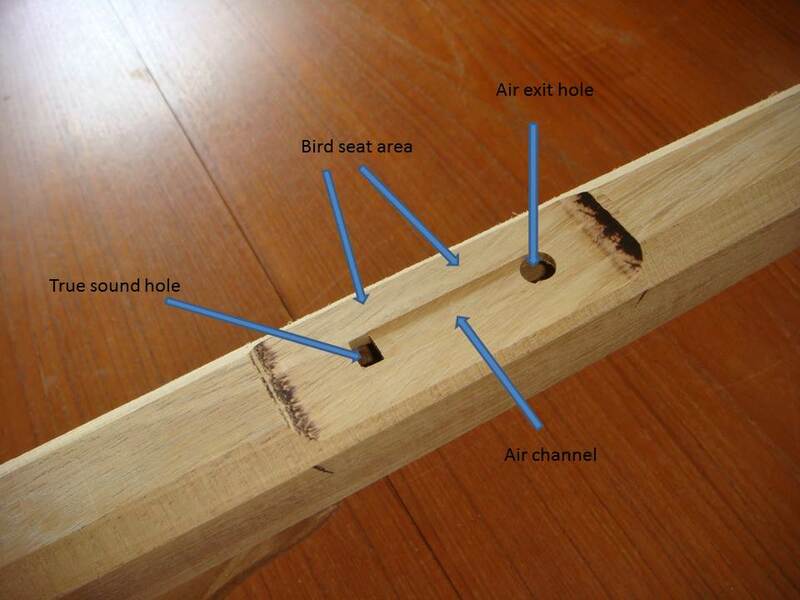 Below shows the True Sound hole and Air Exit hole and these will be roughly finished for you, all you will need to do is finish them as per the DVD.